Back 100/1 Conor McGregor to beat Mayweather at BetVictor! Unbeatable odds! BetVictor is offering unbeatable odds on Conor McGregor to beat Floyd Mayweather on August 26. Join the bookmaker via this page and you wil lbe paid at 100/1 if McGregor wins the fight! McGregor has emerged as one of the biggest stars in combat sports over the past couple of years and despite a strong support from bettors he is the underdog when he takes on the unbeaten Floyd Mayweather in Las Vegas on 26th August. Fancy McGregor to win the fight? Don't miss this crazy offer! You can earn £100 from a £1 bet at BetVictor! 4. 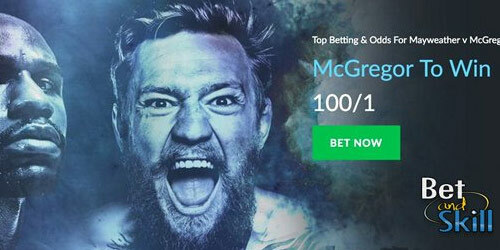 Place a £1 pre-match bet at the normal price on: Conor McGregor To Win The Fight (Match market). 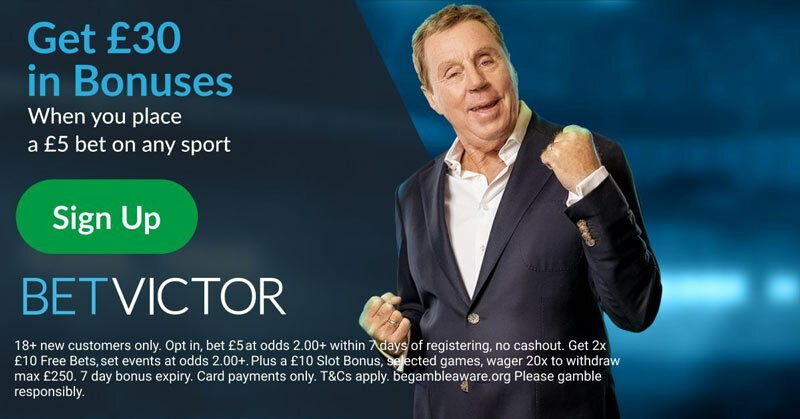 If you don’t have a BetVictor account then there will never be a better time to open a BetVictor account as here at BetAndSkill.com we have this exclusive Bet £10 get £40 offer available right now! Simply place a bet of £10 or more at odds of 2.0 or greater, and you will be credited with £30 in sports bonus funds and another £10 in casino bonus funds. Find out how to get £40 in free bets at BetVictor when you sign up and deposit just £10. 3. You will get £30 in sports bonus funds and another £10 in casino bonus funds. Your sports free bets will be automatically credited as soon as you place your qualifying bet. Your £/€30 casino bonus will be credited the day after you’ve placed your qualifying £/€10 bet and can be used on any of their games on Betvictor Casino with the exception of Poker (including casino side games within the Poker client). Offer available between 10:00BST Mon 7th Aug & 23:00BST on Saturday 26th Aug. This promotion is only available to direct recipients of this offer. Void bets and bets placed with Bonus funds. For customers betting in Euros the currency equivalent of £100 is €100. All other currencies will be calculated at current exchange rates. "Back 100/1 Conor McGregor to beat Mayweather at BetVictor! Unbeatable odds!"